featuring Liseanne Forand, President Shared Services Canada. When the Government of Canada announced the creation of Shared Services Canada (SSC) in the summer of 2011, it was a major step forward in terms of modernizing its operations and transforming the delivery of government services. With a mandate to streamline IT infrastructures across government, save taxpayers’ money and end waste and duplication, SSC was welcomed especially by ITAC and its members who had advocated shared a service strategy in government for many years. 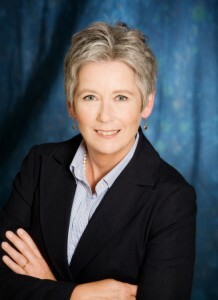 Liseanne Forand was appointed the President of SCC. She and her team took on the huge task of consolidating the IT systems of government’s 42 largest departments by tackling inefficiencies like multiple e-mail systems, proliferating data centres, disparate networks, and its workplace technology devices. While still a work in process, SSC has a strong record of achievement, and an ambitious way forward plan. SSCs IT modernization agenda is of interest to anyone who believes that innovative technology solutions have the ability to transform even the largest of organizations. Liseanne Forand is mindful about the size of the task and honest about her organization’s need to collaborate with the ICT industry. Her perspective is inspiring to professionals engaged in enterprise IT transformation initiatives. ITAC is delighted to welcome Liseanne Forand as our guest speaker at ITAC’s Board of Governors Dinner on June 17, 2015. Please join us to hear the insights from the leader of Canada’s largest and most important ICT customer.